AUSTRALIAN Wool Innovation will spend $2.5 million over four years to research a flystrike vaccine for sheep, seen as a potential option to mulesing. AWI today announced the investment and preliminary research into development of a flystrike vaccine targeting the Australian sheep blowfly as part of a collaboration with the University of Melbourne and CSIRO. Flystrike has significant sheep health and welfare impacts and is estimated to cost the Australian industry more than $173 million annually in management and lost production. AWI general manager for research, Dr Jane Littlejohn said the flystrike vaccine project is expected to deliver an advanced flystrike prevention tool, providing whole animal protection, reducing the use and reliance on chemical insecticides and potentially offering a replacement to the current practices of breech modification, which include mulesing and tail-stripping. “Using the research findings in related AWI-funded projects, including the published sheep blowfly genome sequence, and cutting-edge genomics, proteomics and metabolomics, the study will have a number of research components. “The investigation includes a detailed blowfly population study, led by the University of Melbourne, during the next three flystrike seasons across all Australian states,” Dr Littlejohn said. The project, if successful, will culminate in a flystrike vaccine that will protect sheep right across Australia, AWI said. 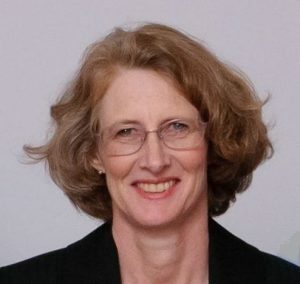 AWI general manager – research, Dr Jane Littlejohn. Dr Littlejohn said with the advancement of science and technology, the foundation science program has delivered sufficiently for AWI to significantly invest toward a flystrike vaccine solution. “Whilst this is just the early stages in the development of a vaccine, the potential benefits to the industry in terms of improved sheep health and welfare are significant. “A number of previous AWI-funded projects have enabled the advancement of the science and we have committed to the investigation of the development of a flystrike vaccine on the back of this research,” she said. “By understanding the populations of blowflies across Australia, we can identify the levels of migrations between populations. “This will help us understand any genetic differences between flies from areas where strikes on sheep are high and where sheep are not the predominant hosts,” he said. “The second component of the University of Melbourne project is to detect the proteins and molecules released by both the blowfly larvae and the affected sheep during flystrike, which will determine the type, timing and magnitude of the sheep immune response during a strike,” Dr Perry said. “We believe that targeting these proteins through a vaccine has the potential to inhibit larval growth and ultimately kill the blowfly larvae. 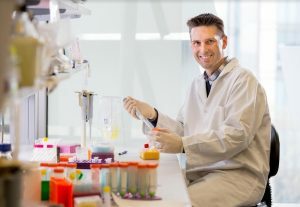 “The final and critical module of the study will be the production of these candidate antigens in a form that closely mimics the natural protein and testing their ability to trigger protective responses in sheep,” Dr Vuocolo said.